Noel Rahn was behind the bench when a youngster named Kyle Rau was racking up mind-boggling scoring totals and winning state championships at most every level he passed through in Eden Prairie's youth hockey association. As a high schooler, all Rau did was help the Eagles win two state Class 2A championships and, this spring as a senior, earn the title of Mr. Hockey. Rahn, meanwhile, has moved west from Eden Prairie to Victoria's Holy Family Catholic High School, where he is coaching another prodigal talent. Gersich’s presence is one reason why Holy Family Catholic, a private school with an enrollment of 586, has opted to move up from Class 1A to 2A starting next season. While Gersich isn’t a household name just yet, Holy Family Catholic has created a statewide buzz with its eyebrow-hiking decision to move up to the higher classification. The news the Fire had moved up to Class 2A came just a few days after St. Thomas Academy won its third state Class 1A title in six years. St. Thomas Academy and Breck, which won state Class 1A titles in 2009 and 2010, in particular have come under fire from some fans and coaches for choosing to continue to play at the Class 1A level. Hill-Murray, Benilde-St. Margaret’s and Holy Angels are private schools that for the past several years have opted up to participate in the Class 2A playoffs. Since 2002, Holy Angels has won two big-school state titles (2002, 2005) and Hill-Murray has one (2008). Benilde-St. Margaret’s placed third in Class 2A in 2008. Holy Family Catholic’s program just completed its 10th season. 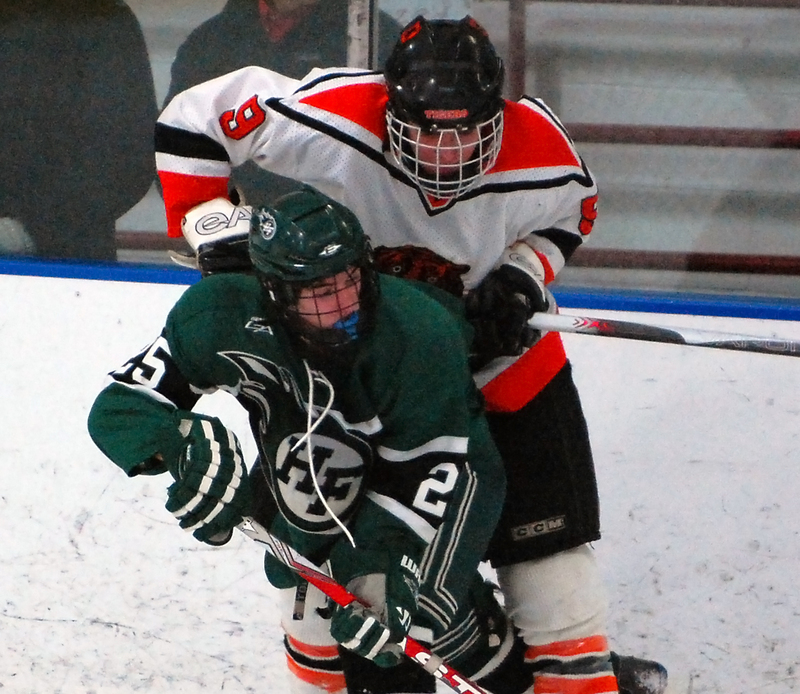 The Fire have lost to Delano in the quarterfinals of the Section 2A playoffs each of the past two seasons. Holy Family Catholic never has reached a section championship game, much less the state Class 1A tournament, raising questions about the timing of the move for a program still trying to establish itself among the state’s elite. “When Noel and I first started talking about it, I was more kind of in that mindset of, ‘You know what let’s go (to the state tournament) a few times. Let’s at least get there,’ ” Holy Family Catholic athletic director Matt Thulli said. “There is something to be said about that, there certainly is. Holy Family Catholic’s girls’ hockey team already plays at the Class 2A level. Thuli said most of the Fire’s other athletic programs play at higher classifications than where they are slotted by the MSHSL based on enrollment. Rahn, who won a state championship as a player at Edina in 1988, led the Fire to a 14-11-1 record in his first season as head coach. Just two of Holy Family Catholic’s top 13 scorers were seniors. None of the three goaltenders who saw action for the Fire were seniors. Holy Family Catholic will continue to play in the small-school Wright County Conference, where the Fire finished fourth out of eight teams. The big change will come in next season’s playoffs. 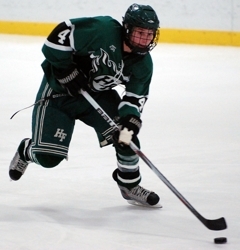 The Minnesota State High School League has placed Holy Family Catholic in Section 6AA with public-school powerhouses Eden Prairie, Minnetonka and Wayzata. Benilde-St. Margaret’s also is in Section 6AA, making it the toughest of the state’s eight big-school sections. “They weren’t nice to us,” Rahn said with a laugh about the MSHSL’s section placement of the Fire. “But at the end of the day you still have to play those guys to get into the state tournament or in the state tournament. * Breckenridge/Wahpeton (ND) is a new team added to the MSHSL for hockey. Breckenridge is listed as the host school.